1914 Enlisted in the Stock Exchange Company of the 5th Battalion Queens Own Cameron Highlanders. 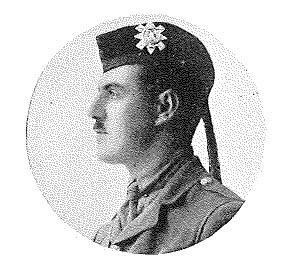 1915 Gazetted Second Lieutenant in 11th Black Watch in April. This battalion, formed in October 1914, remained in Britain for the duration of the war and was designated a ‘Reserve’ battalion. 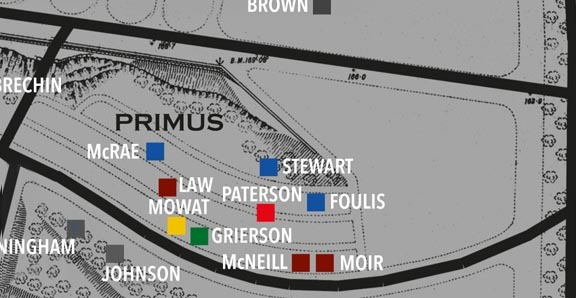 This fits with the information that Macrae was employed as an instructor in musketry and sniping. 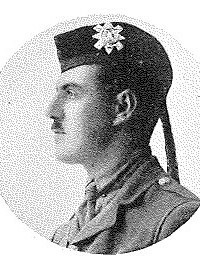 Macrae died during the fighting of 14th – 18th July. His school obituary records that the trenches where the battalion was stationed were being shelled by the Germans in preparation for a counter attack. 2 5.9 shells landed causing many casualties one of whom was Macrae. Burial Thiepval Memorial, Pier and Face 10 A. 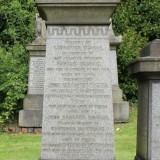 In 1905 Macrae sailed from Liverpool on SS Oravia to Buenos Aires, Argentina to visit family. Much of the information on which this profile is based is drawn from various internet sources which are listed below. 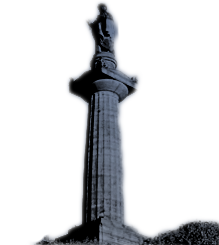 The Friends of Glasgow Necropolis also wish to make full acknowledgement and thanks for the permitted use of any information or images generously supplied specifically for exhibition, publication or display in connection with The Roll of Honour and accompanying profiles to the High School of Glasgow, Ancestry, and Find my past.